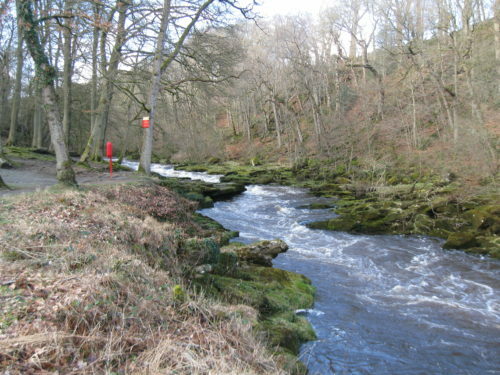 The River Wharfe flows through the beautiful valley of Wharfedale. 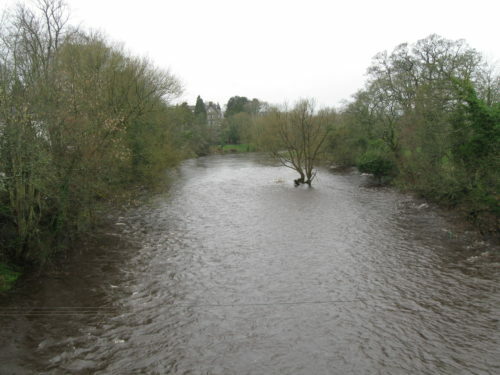 On the day that I visited, the river was rather full, due to the recent heavy rain. 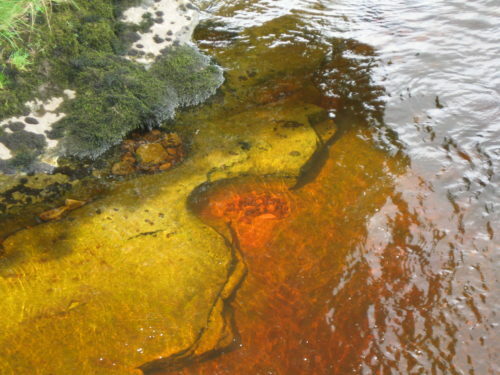 The river bed was covered all the way across. Many islands were submerged apart from their trees. So at the section known as The Strid, on the Bolton Abbey estate, you’d perhaps be wondering where all the water has gone. 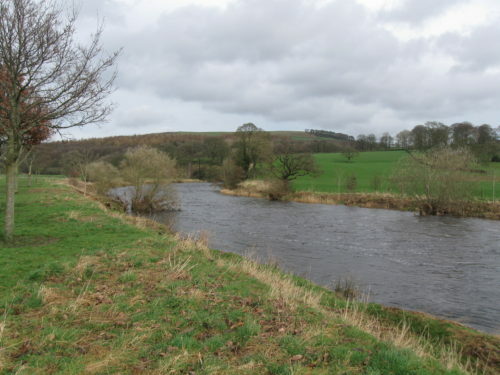 The River Wharfe goes from being about 9 metres wide to the size of a long stride, in less than 100 metres. So where does all the water go? If you read my first post in this series , then you may be thinking that the water has disappeared into the ground. That’s kind of right but there is so much water going through that a lot of the ground has actually been washed away. As the river flows along it carries stones of various sizes. These swirl around in the current and scrape potholes in the river bed, helping to enlarge the natural cracks in the rock. 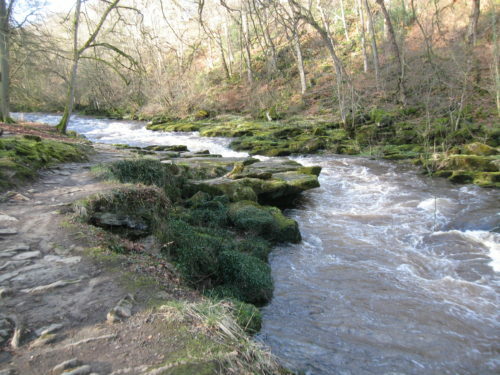 At The Strid, the narrowing of the channel means that the water is moving very fast. The potholes and cracks have enlarged forming a passage of interconnected caverns. So where has all the water gone? Well it is still there, in a chasm about 9 metres deep. (That’s about the height of two double-decker buses). It’s as though the river has turned onto its side! But if you fall in you don’t stand a chance. You’d be sucked under (both banks overhang) and thrown against the rocks by the turbulent flow. Many lives have been lost here. A Wordsworth poem “The Force of Prayer” tells the story of one such tragedy. You can read it here. If you would like a sheet of notes on the poem, sign up to receive the Blog About Britain newsletter and opt for “Geography worksheets and ideas for further study”.